On Valentine’s Day, we add another Camino Love story to the collection. 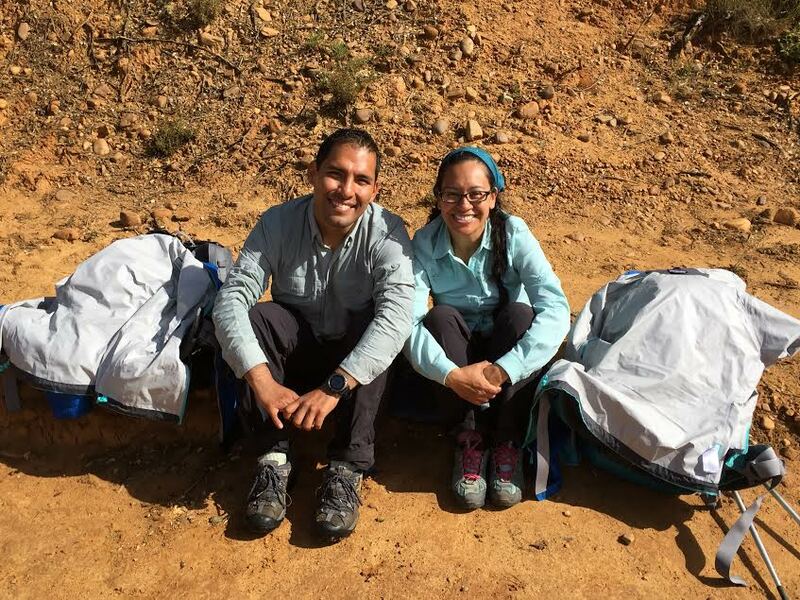 Rob and his wife walked the Camino Francés in 2015. I knew him first as “Canadian Wander” on the Camino de Santiago UK forum, and like every Canadian I’ve met, his interactions are positive and friendly. He recalls his reluctance to the idea of walking, but, with the help of his adventure-seeking wife, Rob eventually became a Camino convert. Enjoy! 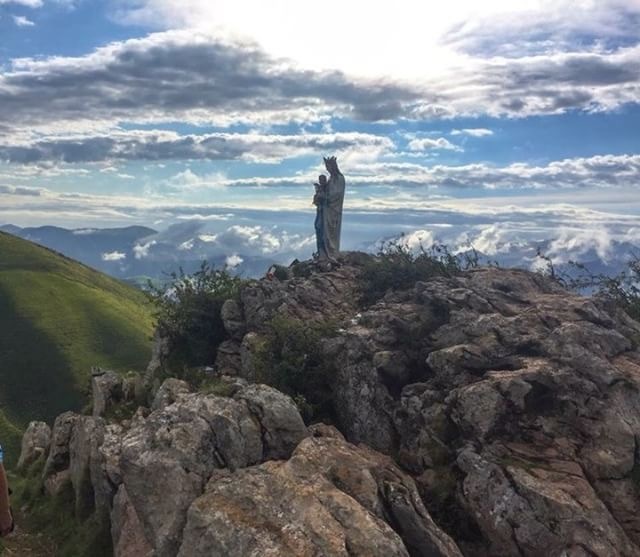 James is a guest contributor to The Camino Provides, and also the author of the new book Camino de Santiago: Microcosm of Life. I walked the Camino Primitivo in 2018 with James and his wife Rituccia after visiting them in Malta. Their love for walking predates their encounter with the Camino de Santiago. But embarking on their first Camino signaled a new phase in the journey together, and resulted in the birth of XirCammini, a voluntary organization focusing on ancient Caminos in Europe. 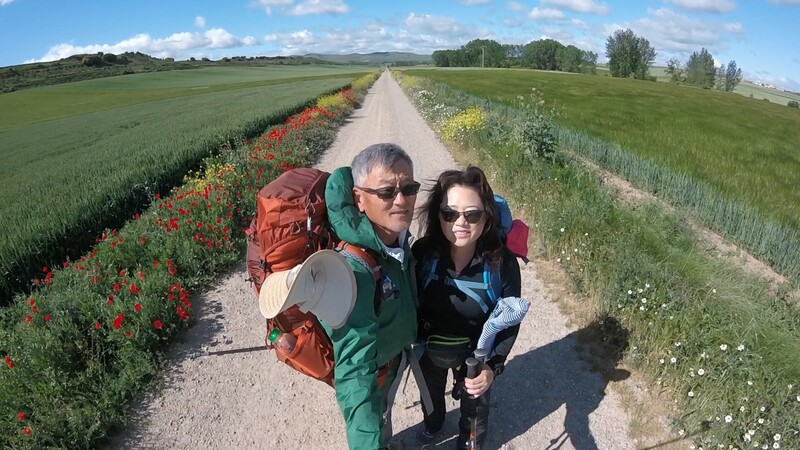 It is an honor to add their unique love story—which spans continents and decades—to the collection of Camino love stories featured on this blog. Love is essentially woven into the route of the journey called life. It is life’s greatest adventure. It is often at the root of our uphill struggles and is one’s walking sticks on a steep downhill or slippery slope. It is our support when we falter. Love guides one through the quagmire. It casts certainty at a crossroad, and yet, imbues hesitation and introspection where fools rush in. Love is a waymark by the side of one’s road guiding us on the journey. Love is in the youthful exhilaration when peaks are conquered and rewarded with panoramas of what lay behind and what lies ahead. Some pilgrims on this journey are truly blessed and I count myself among them. Love is embodied in our companion on this journey called life; a companion that walks sometimes with us and beside us, sometimes ahead, and at other times behind. Whether walking physically together or journeying apart, we are never absent in mind and heart. 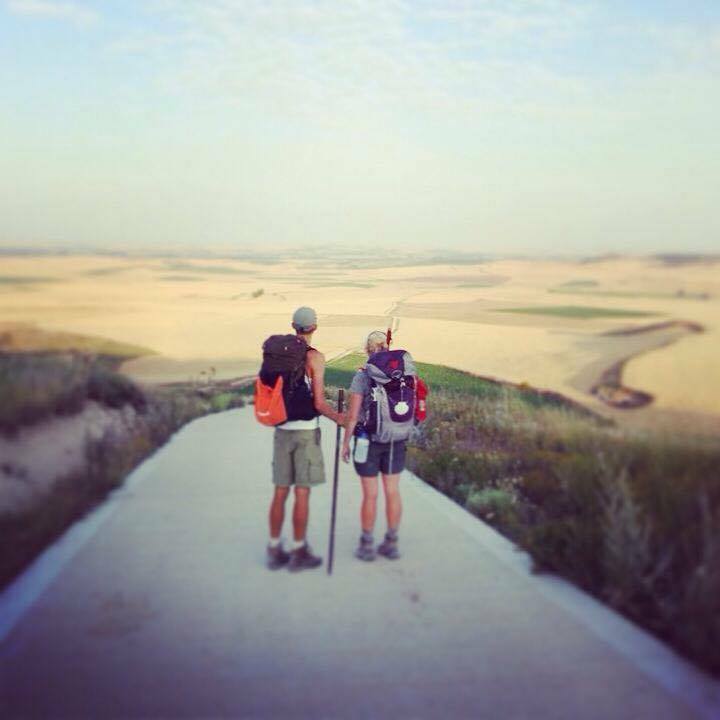 Most, if not all, of our friends know how our Camino Love Story came about. With that said, we absolutely love retelling it and reliving each and every mesmerizing step along the Way of St. James as it led us to this very beautiful moment of our becoming one on May 12, 2018. I am pleased to share a guest post by Francis Kim, the voice behind Our First Date All Over Again. I got to know Anna and Francis Kim at our SF Bay Area pilgrim events and training hikes over the last two years. We trained for our 2016 Caminos around the same time and recently attended Hospitalero training together in Los Gatos, California. They will make an excellent team at an albergue some day! Below is Francis’s take on serving as hospitaleros. 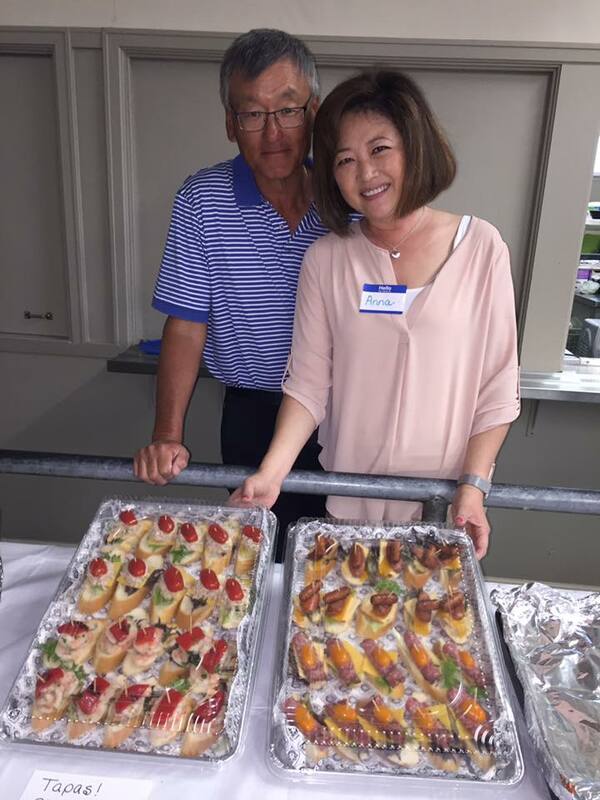 Francis and Anna Kim are ready to serve! They prepared these delicious tapas for our pilgrim blessing and potluck on March 18, 2017. I recall a quote from singer/songwriter Jason Derulo: “the biggest challenge is to continue on the same path. It’s easy to become complacent from the success you’ve had.” It captures the spirit of our Camino, as well our relationship with each other. But more on that later. 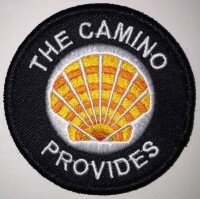 I’m from California and walked the Camino Francés in 2013. On my way into Burgos, I met Kjartan from Denmark. We started talking and spent the next day together. We ended up walking to Santiago and he proposed when we arrived. 🙂 We were married six months later, and we now live in Denmark with our daughter and a baby due next month. The Camino continues to provide our little family with surprises, love and happiness. I have been wanting to share Andrew Suzuki’s excellent film series for a while, but it didn’t seem complete. Now the missing episode, “Some Assembly Required” is free and online! 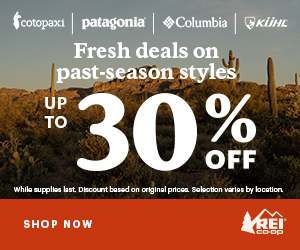 Calling all Camino couples! You know who you are. Perhaps you met on the Camino and fell in love. Maybe you were newlyweds who walked the Camino for a honeymoon. Or an established couple who wanted to mix things up and test your relationship. Perhaps you walked alone and came to the conclusion that someone back home is your true love. Absence makes the heart grow fonder, so they say. I wonder how many marriage proposals happened as a result of the Camino. It seems the Camino works in mysterious ways. Is it something in the water or the Spanish wine? I think there’s something in the air.